When I was little, my sister and I used to sneak into my parents’ room and rummage through their closets in hopes of finding clues as to what we’d be getting for Christmas. Today, with online gift buying becoming the norm, it’s not just closets that can leave clues. Digital breadcrumbs can give you away to the tech-savvy kid. Snooping kids can see what stores you’ve visited online and what products you’ve searched for. And, if you’ve made a purchase, your receipts and tracking notifications will be sitting in your email. So how do you keep all this information from prying eyes? Follow these simple steps to keep your gifts a surprise. 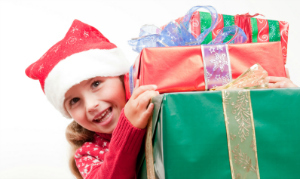 Hiding your browsing activity is the first step to keeping kids from finding out what will be hidden in their gift boxes. If you’ve already started shopping, you’ll want to delete your browsing history so your kids won’t know what you’ve been looking at. The items you’ve been searching for can giveaway your gifting intentions. So delete telltale terms, if your search provider allows, or clear your entire search history. Once you’ve deleted your browsing history and search history, you can avoid further tracking by using a private browsing window for your shopping. In a private browser window, your search history won’t be captured. Private browser windows also delete cookies and temporary Internet files after you close the window so others with access to your computer won't be able to see what sites you visited. Once you’ve purchased a gift, the next security hole is your email. If you use a computer at home, make sure you log out of your computer when you’re finished using it. And, set your computer to sleep after a few minutes of inactivity and require your password to come out of sleep so kids can’t check out what you’ve been doing when you step away. There are many reasons why you should keep your phone locked. Add foiling gift spies to the list. Choose from PIN code, a password or a pattern, among other options, and then set your phone to lock after you turn off the display and require your passcode to unlock. If you use Google on your iOS or Android device, you may have opted-in to Google Now. One of the notifications you receive through Google Now is package notifications, which often includes the name of item or items in the order. I believe the Tor Browser allows private surfing w/ no trail. The Tor browser does allow private browsing, but it’s essentially the same as using Firefox’s Private Window function, as far as local privacy goes. And the downside of Tor is that you’ll get slower downloads and weird search results (i.e., because you could be hitting a site from a server based anywhere in the world, you may end up getting tailored search results or product recommendations based on Slovenia, rather than the US. ).